Noah's Ark Workshops are THE ORIGINAL make your own "Stuff-N-Fluff" Animals! Noah's Ark is "The stuffed animal store that comes to your door"! 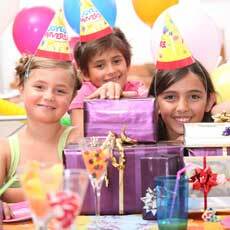 I would love to host your child's party, just give me a call. Birthday parties are unforgettable with Noah's Ark Workshop! !